Tickets for the first PGA Tour event to be played in South Korea went on sale Tuesday. 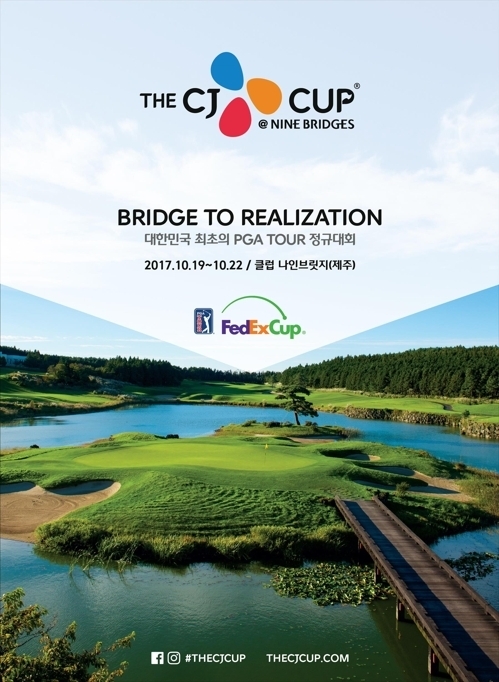 Organizers of the CJ Cup@Nine Bridges said they've also opened the official website of the tournament at www.thecjcup.com. Tickets can be purchased online at CJ Mall (www.cjmall.com), with some early-bird discounts available. The tournament will be played from Oct. 19-22 at the Club at Nine Bridges on Jeju Island. The field will feature 78 players, with the top 60 players coming from the FedEx Cup points standings. The CJ Cup will fall in the early 2017-2018 season, and it will use the final FedEx Cup standings from the 2016-2017 season to determine its field. CJ Group has said up to 20 South Koreans could compete at the tournament, which would be a record at a PGA event.